Would you like to stop outside noise from disturbing the serenity of your home or office? Or would you prefer to make as much noise as you want without bothering the neighbors? 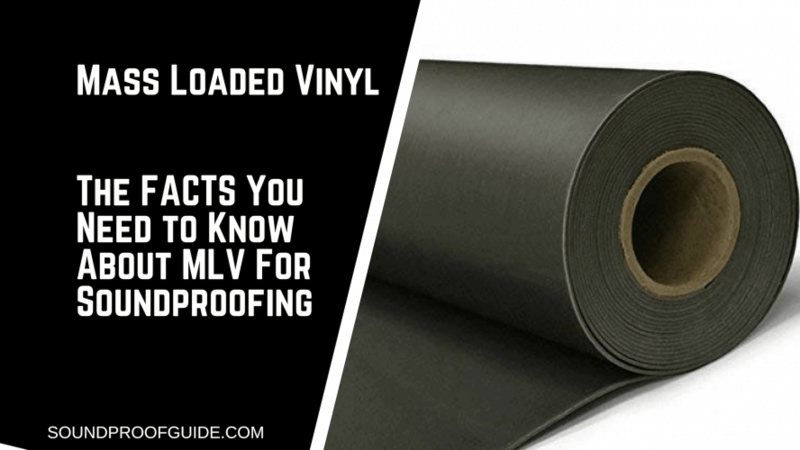 If you’ve answered yes to either of these two questions, the solution is simple and it’s called Mass Loaded Vinyl (MLV). In this article, I will talk about all aspects of Mass Loaded Vynil when it comes to soundproofing. Il touch upon if MLV is safe to use or if it’s toxic and dive into the different uses of this type of soundproofing product. What is Mass Loaded Vinyl? Is Mass Loaded Vinyl Safe? Is Mass Loaded Vinyl Flammable? Can You Paint Mass Loaded Vinyl? Uses of Mass Loaded Vinyl? So, Mass Loaded Vinyl Soundproofing or Not? Mass Loaded Vinyl or MLV is a special soundproofing material that is designed with the primary purpose of serving as a sound barrier. This flexible material also referred to as a “Limp Mass Barrier,” is made up of two principal components – a natural high mass element (such as Barium Sulfate or Calcium Carbonate) and vinyl. The vinyl is what gives MLV its flexibility while Barium Sulfate or Calcium Carbonate, which are highly dense compounds, is what gives the material its soundproofing capability. What makes Mass Loaded Vinyl such a great choice for noise reduction is the fact that it’s a double threat – it is both a potent sound barrier and effective sound absorber. This is unlike most other noise reduction materials such as fiberglass or mineral fiber that only do one but not the other. But asides from its sound absorbing and blocking capabilities, what really sets MLV apart is its flexibility. Unlike other soundproofing materials which are too rigid or thick to bend, Mass Loaded Vinyl is flexible enough to be bent and installed in a variety of places for a variety of purposes. 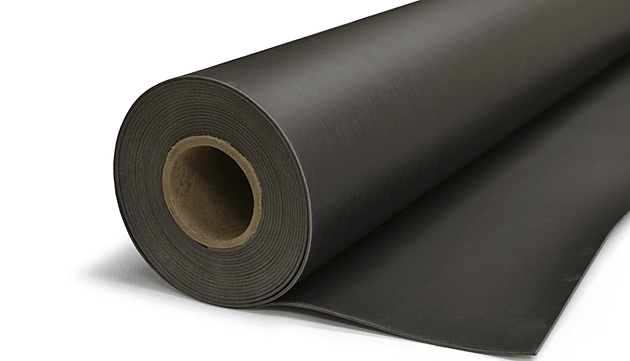 This means you get the density and soundproofing of materials like concrete or hardboard, but the flexibility of rubber. The Flexibility aspect allows you to wrap and mold MLV as you please to fulfill your noise reduction goal. It is simply a unique, versatile and superior material that takes soundproofing to a whole new level. With all the wonderful benefits of MLV, you are probably wondering if it’s safe to use. Your skepticism is understandable considering how harmful to our health many of the things we use regularly are. For instance, many people sleep on mattresses that are toxic and don’t even know it. Good News, MLV is Completely Safe as long as you use it correctly. It’s as safe as can be as long as you use it responsibly and follow safety instructions. That’s more than most noise reduction materials can promise. As earlier mentioned, barium sulfate is a primary ingredient in creating Mass Loaded Vinyl. It is used in its inert form (insoluble form) to create MLV. In its inert form, barium sulfate is safe, unlike elemental barium which can be very toxic to individuals exposed to high levels of it. Good news again, MLV is designed to withstand higher temperatures. This doesn’t mean that it’s a 100% fireproof though. If exposed to higher temperatures for a continued and extended period of time, the plasticizers within it will ignite. But because of how much heat it’ll take to burn MLV, it’s definitely safer than foam panels in regards to fire safety. MLV is available in stores in one of two colors; gray and black. If this isn’t good enough for you, you’ll be happy to know that Mass Loaded Vinyl is actually paint-friendly. Latex paint is the best type of paint to use to coat MLV, and if you are dissatisfied with the paint job, you can always have it repainted. And if you believe no color will better suit your aesthetic preference, MLV is also available in transparent. Because of its flexibility, aesthetics, and safety, there are a wide variety of ways and places that MLV can be installed for noise reduction purposes. There are even instances of people installing them on outside fences and in cars. Generally, people don’t install MLV directly to a surface. Instead, they sandwich it between other materials. With this approach, you can install MLV on concrete, stone or wooden floors, walls, ceilings and more. Here are more places you can install MLV to optimize soundproofing. Like cold, noise can find its way through and around closed doors and windows. This is a more apparent problem if the door or window is cheap or old. But it can be fixed with ease by installing MLV curtains over the door or window to minimize noise transmission. If you are worried that hanging MLV curtains over your door or window will ugly up your apartment, you forget that they can be painted. Paint the MLV curtain your preferred color and watch it complement your interior, and listen to it block the noise. Your washing machine or air-conditioner making too much of a racket? MLV is here to save the day. You can safely coat the offending machinery or appliance with MLV to keep the noise down. A popular MLV product for this is Thermo Tec. The flexibility of MLV also makes it suitable for coating HVAC ductwork and pipes to muffle its incessant rumbling and clanking. That is correct. MLV in your car! While others are trying to get a bulletproof car, you can get a soundproof car that lets you cruise in a cocoon of blissful quiet. Asides from keeping the noise out of your vehicle, it also lets you finally enjoy your car’s sound system to the fullest by keeping the noise in and minimizing external noise that might ruin your groove. If you want to soundproof an entire room or even your entire building, your biggest fear is probably that you have to tear up the wall. With MLV, there’s no need for anything that extreme. All you need do is install furring strips through the drywall, install the Mass Loaded Vinyl over it, then top it all with another layer of drywall. This triple layer wall with a rich filling of MLV will make it practically impossible for sound to get in or out. If you live in an apartment building and are sick of the noise of your upstairs and/or downstairs neighbors, installing Mass Loaded Vinyl in the ceiling and/or floor will help you effectively shut out the noise. More places you can install MLV for noise reduction purposes are partition walls of offices, school rooms, computer server rooms, and mechanical rooms. As the popularity of Mass Loaded Vinyl grows, its manufacturers are becoming more and more creative with it. This has led to the creation of various types of MLV by combining it with other materials to increase its effectiveness and durability. For instance, MLV has been combined with materials such as mineral fiber insulation, glass fiber insulation, acoustical foam, and others. The result is remarkable soundproofing from a surprisingly flimsy feeling material. MLV + foil: Contractors commonly use this combination for silencing noisy pipes. By increasing its effectiveness, you can further combine this with fiberglass. MLV + fiberglass: This combination delivers a lightweight material that is capable of blocking and absorbing sound waves. It is ideal for soundproofing ductwork, garbage chutes, or to improve a room’s acoustics. MLV + aluminum: You can further combine this particular combo with ceramic fiber, stone wool, or even fiberglass. Its durability and sturdiness make it ideal for commercial and industrial applications. MLV + foam: This delivers the highest level of acoustical absorption. There is also the option of Reinforced MLV which combines super tough poly fabric with Mass Loaded Vinyl to create a more durable and resistant sound blocker. It’s perfect as an acoustical curtain panel. With everything you’ve learned about MLV thus far, are you still uncertain about its ability to satisfy your soundproofing needs? If yes, let’s take a focused look at the disadvantages and advantages of MLV to help you better make up your mind. Thinness: To block sound, you need a very thick/dense material. When you think of something that dense, you probably picture a thick slab of concrete or something of equal density, not something that’s cardboard thin. Even though it’s thin, Mass Loaded Vinyl blocks sound like a champ. Its combination of thinness and lightness results in the superior mass to thickness ratio which gives MLV a considerable advantage over other noise reduction materials. Its lightness also means you can use it on drywall without fear of it collapsing or caving under its weight. Flexibility: Another significant advantage of MLV is its flexibility which completely separates it from most other soundproofing materials which are rigid. You can twist, wrap and bend MLV anyway you want to install on surfaces of all shapes and forms. You can wrap and install it around pipes, bends, corners, vents or whatever hard-to-reach places you come across. This makes for excellent soundproofing as it covers the entire surface without leaving any gaps. High STC score: Sound Transmission Class (STC) is a unit of measurement for sound. MLV’s STC score is 25 to 27. This is a great score considering its thinness. To increase MLV’s soundproof capability, one only need as many layers as needed. So far, MLV has only one major drawback, and that’s its price. A square foot of MLV can cost anywhere between $1 and $2.50 depending on the type, manufacturer, and seller. If you are on a tight budget or have a lot of surfaces to soundproof, then maybe Mass Loaded Vinyl isn’t for you. But if you need to soundproof tricky objects like pipes or vents, or specialized rooms such as a home theater or recording studio, MLV is a good way to go. If you are curious about whether any soundproofing alternatives are similar to Mass Loaded Vinyl, yes, there are. But you should know that they don’t entirely measure up to MLV in certain regards. One such alternative is Acoustic Curtains. They are similar to MLV curtains in the sense that you can hang them over doors and windows for noise reduction purposes. While acoustic curtains are effective, take my word for it that they aren’t as effective as MLV curtains. This is because acoustic curtains are not as dense as MLV curtains. But one thing that acoustic curtains have over MLV curtains is that they are available in a wide variety of colors, unlike MLV’s plain black and gray. This means you can actually pick acoustic curtains of a color you like and not have to worry about having to repaint them. So if aesthetics are more important to you than noise reduction, then acoustic curtains were made for you. Another alternative is Hat Channel and Sound Clips. These are effective for reducing noise transmission between floors. They are typically installed directly to floor beams after which drywall will be fitted to the channels to reduce noise transmission between adjoining rooms significantly. There are a few places to buy MLV but the simplest way to buy this type of product is to purchase it directly from the Home Depot website. And of course, buying mass loaded vinyl from Amazon is just as easy. The mass loaded vinyl I recommend from Home Depot is the SoundSafe Mass Loaded Vinyl. This MLV is not self-adhesive but that did help keep the price down compared to some of the self-adhesive MLV on the market. It can be screwed, stapled, glued, nailed or hung like a curtain using grommets. There are a number of different size rolls of this stuff to suit most peoples soundproofing needs. The SoundSafe MLV is made of 100% recycled PVC with a service temperature that ranges from 20F to 180F. The MLV I recommend from Amazon is the Soundsulate Mass Loaded Vinyl. The price is very similar to the SoundSafe from Home Depot but one difference here is how it’s made. The Soundsulate is made from virgin material (no recycled content) and is entirely odorless, as it should be. This is another MLV that is not self-adhesive. Click the Amazon link for the Soundsulate Self Adhesive MLV, one catch though, it is more expensive by more than a few bucks. While acoustic curtains and hat channel and sound clips are not as effective or as versatile as MLV, they do have the advantage of being less expensive. But before you pounce on them for being cheaper, remember that most options that are cheaper are not as flexible or as versatile as MLV. Which means they are limited in how well they can satisfy your soundproofing needs. Even if a product is as flexible as MLV, such as MuteX, the question of if the product is as soundproof as MLV still stands. FYI, it’s not because MuteX is lighter than and not as dense as MLV. So overall, MLV is still ahead of the pack. If you would like to find out more about MLV soundproofing and its installation, Soundproofguide can provide you with answers and solutions. 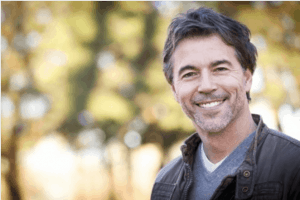 Leave us a comment and we’ll tell you everything you need to know about getting optimal soundproofing that satisfies without exceeding your budget.